Can the forthcoming Galaxy S4 help Samsung past 500m sales in 2013? 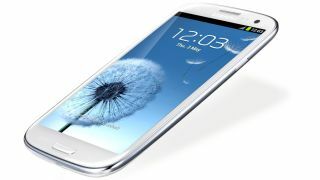 Samsung has set its sights on shifting an astonishing half a billion mobile phones in 2013, according to reports in Korea. The Korea Times quotes unnamed sources at Samsung and its suppliers, who claimed the Seoul-based company wants to improve upon by 20 per cent upon a reported 420m sales in 2012. That would take the total sales up to 510 million, with 390 million smartphone units and 120 million feature phone sales targeted. Achieving such a figure would take Samsung further ahead of rivals like Nokia, which it overtook to become the world's largest phone manufacturer earlier this year. Much of Samsung's ability to continue this year's incredible momentum will depend upon the success of the heavily-anticipated Samsung Galaxy S4 smartphone. The Galaxy S3 has been a sales juggernaut and the first handset to really surpass Apple's iPhone in terms of critical acclaim. If the S4 has the same impact, then there's no reason why Samsung can't achieve its lofty goals.